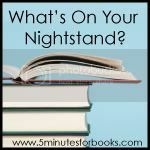 5MinutesforBooks is doing a new meme on Tuesdays - What's On Your Nightstand? I'll be reviewing books as well as sharing what's on my nightstand. If you'd like to participate, head on over there and leave your link! Have you ever just 'clicked' with someone? It might be with a total stranger or a friend of a friend, but somehow, at the moment of introduction there is a connection that you just know was meant to be. For those who don't know, The Man Beast and I met at Busch Gardens Williamsburg (now, Busch Gardens Europe). We both worked in the Black Forest Picnic area serving up delectable dishes such as hot dogs and hamburgers with potato salad. I was 19 and he had barely turned 17. On everyone's name tags is the state (or country) you're from. The Man Beast and I both were from California. That alone was conversation for us one fateful day in the Festhaus as we were getting iced tea. One thing led to another and pretty soon, he was asking me for my number in the catacombs after our shift was over. I was a good girl and would have never given out y number to someone I had just met, but there was something about The Man Beast and I never hesitated. Such is the case for Travis Parker and Gabby Holland, two main characters in Nicholas Spark's The Choice. They are neighbors who have absolutely nothing in common except a shared property line. They meet by chance when Gabby storms next door and confronts Travis whose dog, Gabby suspects, has gotten her dog, pregnant. The story is filled with choices that both Travis and Gabby have to make - from the trivial to the life-altering - and it's these choices that make it flow so well. I am not a Nicholas Spark's fan. It's just not my flavor. I did read the Notebook, but unlike all my friends, I did not cry. Sure it was a good read...I just wasn't moved by it. 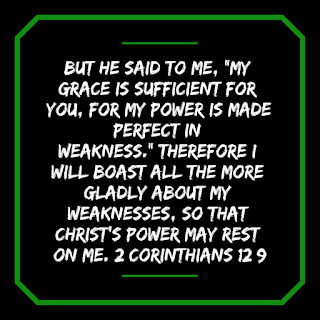 I was moved by The Choice. I was in dentist office with Baby Gurl when the tears started flowing. Travis must answer the ultimate question: how far would you go for love? It's a question I don't even like to consider and Travis' decision took me out of my comfort zone a million times over. But if you're a Sparks fan, you'll definitely have to add this to your repertoire. That's a great review. I'm not a Sparks fan, either, although his book about traveling with his brother was pretty good. This one sounds like it might be worth a peek. I loved your story! I guess most people can't say "He asked me for my number in the catacombs." Great review. I also thought The Choice was a moving story. I enjoyed the Choice as well. I read the Notebook long long ago, and like you, didn't remember being particularly moved by it (Or maybe I read Message in the Bottle?--they all seem to run together). Oh I love Sparks.. I will have to add this to my wish list. His stories always make such a great connection with my heart.